For the third stop on our Marriott reader event tour, we’ll be heading to The AC Hotel Chicago Downtown on December 9. So far, we’ve visited two hotels in the Marriott lifestyle brand collection: The Renaissance Washington DC Dupont Circle and The AC Hotel Miami Beach, where we had a blast talking points and miles over cocktails and appetizers. If this sounds right up your alley, enter to win tickets to our Chicago event for you and a guest below! The AC Hotel Chicago Downtown is located just steps from the Magnificent Mile. 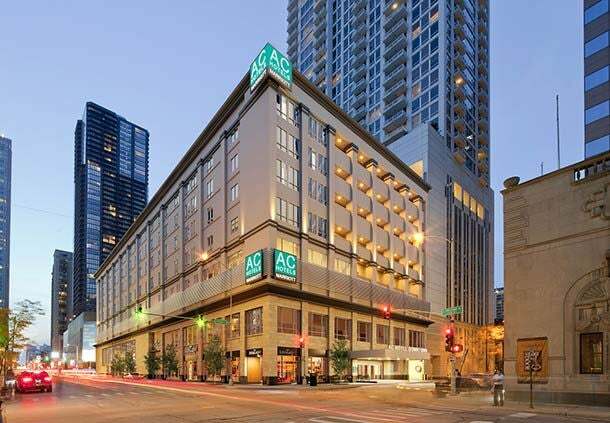 The AC Hotel Chicago Downtown is a Category 7 property located in the River North district of the city offering a state-of-the-art fitness center, indoor pool and free high-speed internet. If you’re looking for a bite to eat, you can head down to the AC lounge and enjoy specialty cocktails and tapas, or if you’re in need of a hearty breakfast, the AC Kitchen serves freshly baked croissants, artisan cured meats, cereal and yogurt or a buffet breakfast for $15 per person. Classic King guest room at the AC Hotel Chicago Downtown. 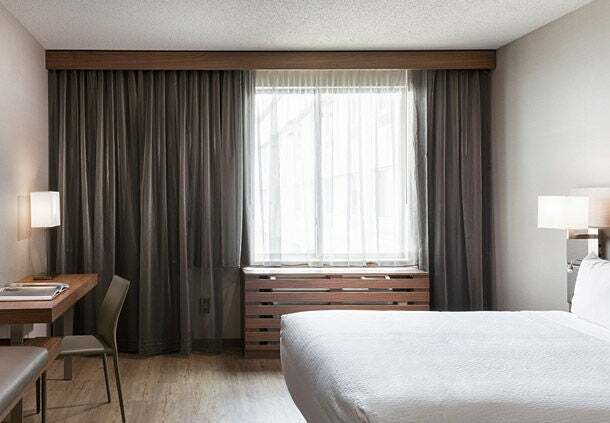 To book a room at this hotel you can redeem 35,000 points per night or 30,000 points per night at the PointSavers level; otherwise, paid rates can be as low as $96.75 per night for a Classic King guest room. If you’ll be in the Chicago area next Wednesday evening, December 9 and would like to attend the event, visit our Facebook page giveaway tab to enter to win a ticket for you and a guest. From 7-9pm, there will be appetizers, cocktails and exciting giveaways. You can also access the giveaway by using the Rafflecopter widget below. We’ll pick 30 winners at random on Sunday December 6th, so you must enter the giveaway by 11:59pm ET on Saturday, December 5. We’ll notify all winners by email and provide full event details when they are chosen.